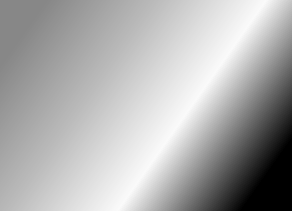 Copyright © All rights reserved. Made By Serif. 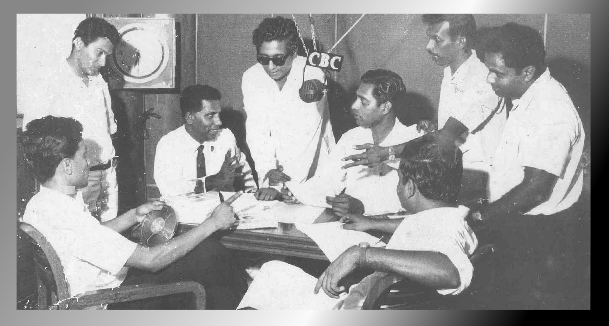 With the dawn of Independence, Chitrananda joined Ceylon Broadcasting Corporation (Radio Ceylon) as a Guest Producer of Poetry, Drama and Features. 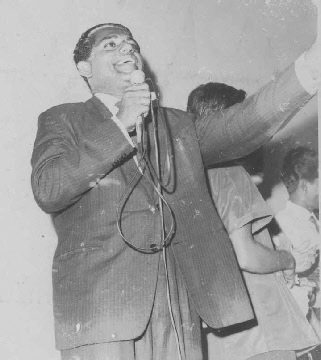 But it was on the 6th of August 1956; he stepped in to his long journey at Radio Ceylon as a permanent member. 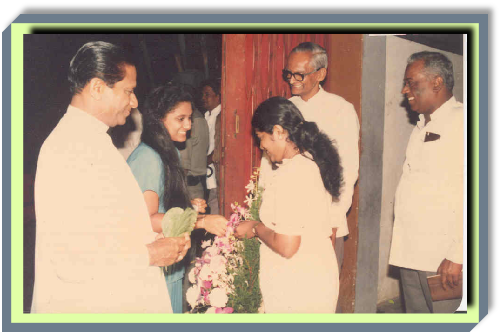 “Chitra” joined as a Program Compiler, and Madawala S. Ratnayake, Mahagama Sekara, K. A. W. Perera, P. Welikala were also there exploring new horizons. Later they all became giants of their respective fields. This was a major turning point of Chitra's professional life. 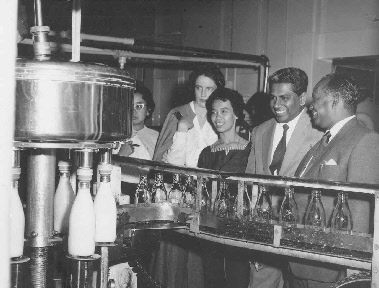 In January 1st 1958, Chitra was promoted to the position of a Producer of Rural Service. Later in July 18th 1962, he became the Executive Producer in the same department. A year later, he moved to the Educational Service as the Head of the Department of Radio Ceylon. In October 1st 1963, he moved back to the Rural Service and became the Head of that Department. Chitrananda headed the “Govi Jaya Handa” program project under the guidance of Mr. Nevil Jayaweera (Director General of Radio Ceylon) and Prof. Thilak Ratnakara (radio programme advisor) during the Hon. Dudley Senannayake era and was very popular throughout rural Ceylon. During this time all promotions were given based on written and oral examination results and merits. (from Left) Head of Rural Service, Chitrananda Abeysekera, Chairman & Director General of CBC, Nevil Jayaweera, Director of Training, Stewart Weval, Director of Commercial Service, Livy Wijemanne, Programme Advisor, Prof. Thilak Rathnakara, Director of Sinhala Services, Thevis Guruge. On the 4th of May 1975, after three years of absence (due to political victimization) he was offered the Head of the department position at the Publication Division. He also had involved with the Radio Magazine and the "Tharangani" Magazine. Thorough with his work he could fit into any province, be it Programme Administration, Education Service, Rural Service and the Publication field. 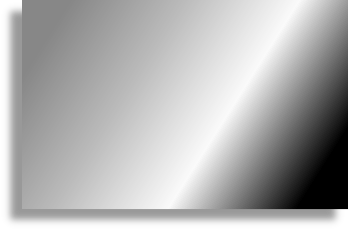 With his able guidance the Broadcasting Corporation’s monthly journal became a popular publication. The first programme of the Rural Service of Ceylon Broadcasting Corporation is On Air. Preparation of the first programme of the Rural Service of Ceylon Broadcasting Corporation. 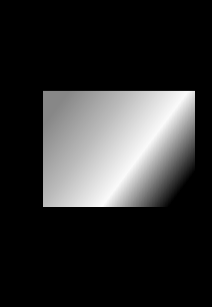 By now Ceylon Broadcasting Corporation had become Sri Lanka Broadcasting Corporation with the constitutional change in 1972. 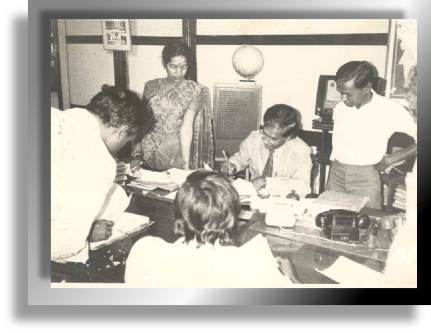 In October 5th 1977, he was promoted to the Director of Sinhala Services, which he held until his retirement on the 5th of August 1989. This was the most intense and difficult position at SLBC. The Hindi Service and Music Department were both under the Director of Sinhala Services. 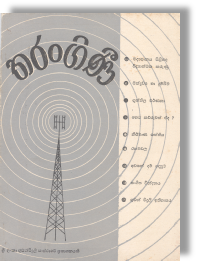 From 1977 to 1989, one would say, was the Golden Era of the Sinhala Services of the Sri Lanka Broadcasting Corporation history which Chitrananda was the Director. The best of SLBC’s veterans like Siril Rajapakse, Daya Nellampitiya, Nanda Jayamanne, Janadasa Peries, Thika Sudharman de Silva, Lalith S. Maithripala, Asoka Thilakaratne, Saman Athawudahetti, Kumar Ratnayake, Janadasa Peries, Sumana Jayathilake, Palitha Perera, G. Gunawardane, K. D. K. Dharmawardane, Ariyadasa Peries, P. Welikala, Jayantha Peries, Gunatunga K. Liyanage, Sujatha Gunawardane, Agnes Sirisena, K.W. Kotigala, Prabha Ranatunge, Ariyasiri Millavithanachchi, Dharma Sri Wickramasinghe, Punya Katthriarachchi, Palitha Samarasinghe, Ariyasiri Vithanage, Kusum Peries, Nandasena Liyanapatabendy, Sumana Nellampitiya, Srima Adhikari, Chitra Kumari Kalubowila, etc were contributing to Sinhala Services. As the Director of the Sinhala Services at Sri Lanka Broadcasting Corporation he never failed to accommodate just requests. Doors of the S. L. B. C. were always open for the talented and the able. The youth and amateur broadcasters found in him a solace. 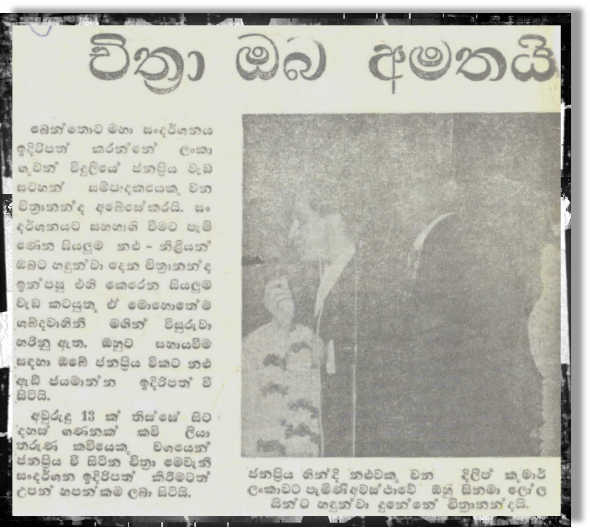 It was held in 1968 at the Independence Square and organized by Ceylon Broadcasting Corporation (Radio Ceylon). Hon. Prime Minister Mr.Dudley Senanayake was awarding a winner. Chitrananda read the names of the Winners. 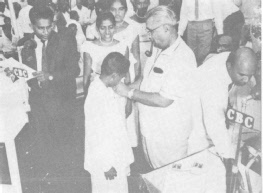 H. M. Gunasekera, George Leslie Ranasinghe, W.R.B. 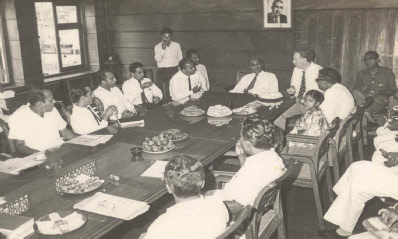 Rajakaruna,Thevis Guruge, Chitrananda Abeysekera, Nevil Jayaweera, Stewart Weval and Prof. Thilak Ratnakara. 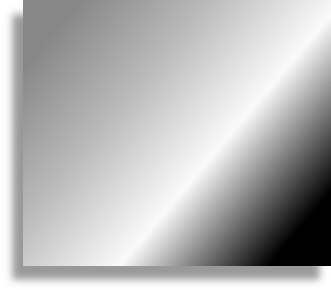 His training abroad helped him to strengthen his skills, thus he also became a very talented and well-known broadcaster and administrator in Sri Lanka. It was Chitrananda who proposed to start Regional Broadcast Centres for the first time in 1961 after his visit to Australia. Later it became a reality stablishing "Raja Rata Sewaya", Maha Nuwara Sewaya" and "Ruhunu Sewaya". 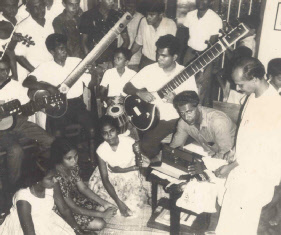 A musical event recording at a Rural Service radio programme. Chitrananda was producing the event. L. M. P. Jayatunge of Radio Ceylon was also participated in this training. 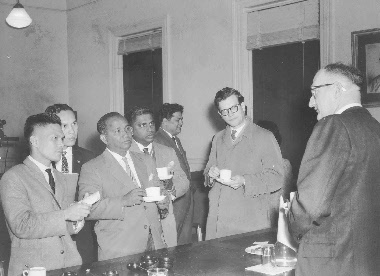 In 1960 under the Colombo Plan, he went to Australia to participate in a training course on Radio & Television and Rural Broadcasting conducted by ABC (Australia Broadcasting Commission). Later he went to Singapore to complete the same training programme. 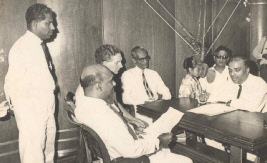 Sri Lankan Government appointed Chitrananda to represent Sri Lanka on the 2nd session of the Non-Aligned Countries Broadcasters’ Conference held in Free Town, Sierra Leon in 1980. As the Director of Sinhala Services, he initiated many programmes with help of many intellectuals such as, Prof. J.B. Dissanayake, S.G. Samarasinghe, Leel Gunasekera, Amaradasa Gunawardena, W.V. Abhayagunawardane, Porf. 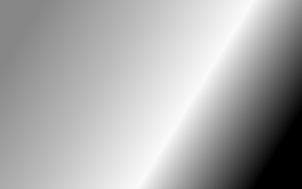 K.N.O. Dharmadasa, Dr. Nandadasa Kodagoda. 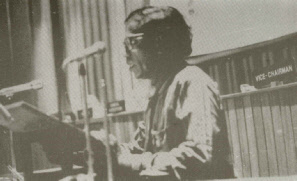 Prof. Minuwan P. Thilakaratne, Amarahewa Madduma etc. Chitrananda was a very talented and well-known broadcaster and administrator. He was also very popular as a Live Radio commentator and was very popular among the masses. 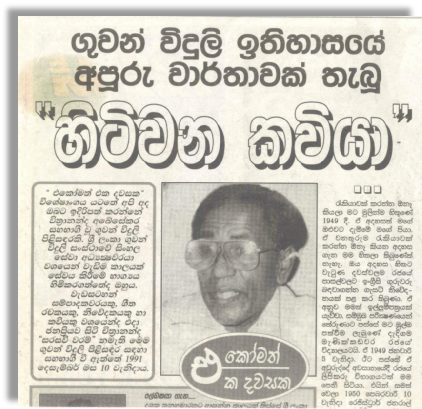 Sri Lankans may still remember him giving live commentary of Kandy Esala Perahera and many other social and cultural events. During his checkered career at the Sri Lanka Broadcasting Corporation, Chitrananda introduced many new features to Broadcasting. He has distinguished himself in many departments as a broadcaster. This news-paper article was published in "Lakbima" newspaper on the 10th of November 2003. 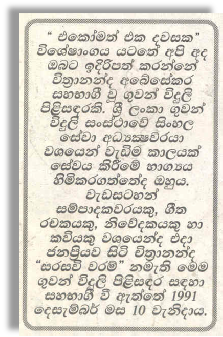 It was written by Palitha Samarasinghe, a wel- known radio personal. 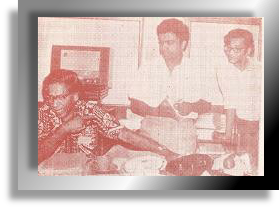 In 1978, Chitrananda was in Malaysia, for another training conducted by the Asia Institute of Broadcast Development (AIBD). In 1981 he was sent to Pakistan to participate in a training session on Rural Broadcasting Development. Three years later, he visited BBC. Ms Dulanjalie Premadasa (Daughter of Hon. R. Premadasa) was greeted by Ms Dulmini Kumari Abeysekera (Daughter of Mr. Chitrananda Abeysekera) at an event orgernized by SLBC and ATHAKASA. Hon. Prime-Minister Mr. R. Premadasa, SLBC Chairman Mr. Livy Wijemanna and SLBC Director General, P. Weeraman are also in the picture.